Finding the Best Headset Microphone for Singing. 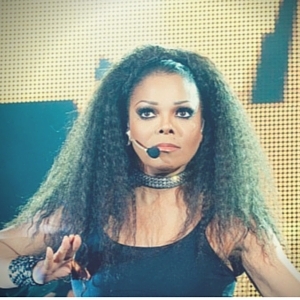 One of the most iconic images from the 80’s is Janet Jackson and her wireless headworn microphone. She more or less opened up the floodgates to what we see performers using today. There are a lot of variables that can make finding the best headset microphone for singing live difficult. Even as their use has skyrocketed to the norm, the options are such as they can make your head spin. When you step into the world without wires there are definitely some differences you need to take into account. Let’s take a look at a few of the considerations. Right off the bat you’re looking for the right mic to sing, so lets talk about what we’re not considering. Even though it is in the wireless family. 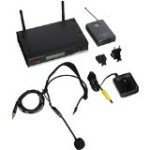 The body-mic, known as a lavalier microphone is generally used for speaking. A microphone for recording lectures or listening to someone speak on stage. So that leaves the hands and the head. Now there are quite a few value packages out on the market that include both the handheld and the headset. So you can have the option with one of these bundles to try out both and see if you like it. The headset is generally referred to as a headset and the handheld usually is called a stick. So now will you not only look like a rock-star, but you can use the lingo too! You’ll find that it takes a little getting used to as well as personal adjustment to get your sound. Some people can find the headset quite strange to get started with (I did!). The microphone itself is on a flexible arm that is completely adjustable. You’ll find yourself doing a lot to that when you get started. Depending on how much you move around and exert yourself. Not only are you singing but you are breathing as well! And the mic picks up that breathing as well. So you can really see how any of the headworn microphones for singing that you choose, will require your unique touch. 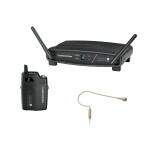 Receiver – the actual unit that recieves the transmitted signal from the wireless microphone. Bodypack Transmitter – This is a small box that you clip on to your belt or around your waist. It transmits the signal from your wireless headset to the receiver. Handheld Transmitter – It’s actually a part of the handheld microphone (the stick). So there is nothing that you need to attach to your body. There are many different options for each of those options! Also: Each of the transmitters (both bodypack and handheld) require batteries to work. Handheld generally use 9-volts and bodypacks AA batteries). They tend to go through them fast so consider some rechargeable batteries. You’ll thank us in the long run! 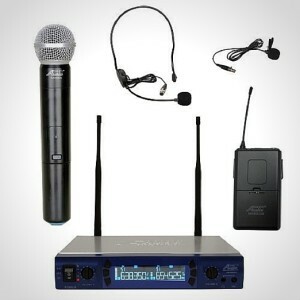 So What Makes the Best Wireless Headset Microphone for Singing Live? Manufacturer quality will always get you better results. You can have the best singing performance in the world, but with low-quality microphones, it won’t sound very good. Listed below are a few well tested, well reviewed, and well received team picks. 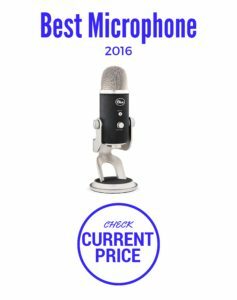 When it comes to finding the best wireless head microphone for singing you really do get what you pay for. You will only be disappointed if you think that you can get the quality you’re looking for in a basement priced system based on dated technology. From microphone technology trailblazer and leader Sennheiser this system is ready to put you front and center. It’s compact bodypack transmitter, and super comfortable headset will give you the freedom to move around and give the impressive performance. Easily one of the gold standards in the wireless microphone world. 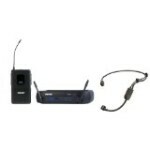 Coming with the with PGA31 Headset Microphone, this wireless mic by Shure is another feat of audio engineering. You’ll find a hard time finding any interference and the lightweight feel is second to none. It’s one of the most accessible and affordable ways to own any stage. Easy setup with a natural, clear sound quality Audio-Technicas offering to our list is sweet audio perfection. This digital high-fidelity system is designed to provide any flawless sound to any performing musician. Here’s a pick that you can’t go wrong with. Check out a few other handsfree ideas over in our Best Microphones for Singing Live section. We’re sure you’ll find something that perfectly fits who you are as a performer.